YOKOHAMA, Japan, June 25, 2018 - (JCN Newswire) - Mitsubishi Hitachi Power Systems, Ltd. (MHPS) announced that a JAC-series gas turbine using Enhanced Air Cooling has surpassed 8,000 cumulative hours of combined cycle operation at the company's commercial power plant in Takasago, Japan. Exceeding 8,000 hours of commercial operation is widely taken as an industry benchmark for demonstrating a gas turbine's reliability. The original J-Series was launched in 2009 and achieved 8,000 hours of commercial operation in 2011. To improve efficiency and operability, MHPS then developed an air-cooled combustor with Tohoku Electric Power Co. which resulted in the JAC gas turbine. To further improve the JAC, MHPS then developed Enhanced Air Cooling that just achieved 8,000 hours of commercial operation. In total, 55 J/JAC turbines have been ordered globally and an additional 16 have been technically selected by power generation customers, making this one of the most successful product introductions in history. Among them, 28 J-series turbines are now in commercial operation, accumulating over 600,000 hours of commercial operation. The MHPS method for demonstrating 8,000 hours of commercial operation before introducing new products has resulted in the industry's most reliable products, with these 28 turbines having demonstrated 3rd party verified industry-leading reliability of 99.3%. MHPS Senior Executive Vice President and CTO Akimasa Muyama commented, "Enhanced Air Cooling takes our JAC to the next level, and establishes the JAC's position as the new industry standard. In 1x1 combined cycle configuration, a 60 Hz JAC power plant will now have a generating capacity of over 600 megawatts, providing over 64% fuel efficiency and 99.5% reliability. 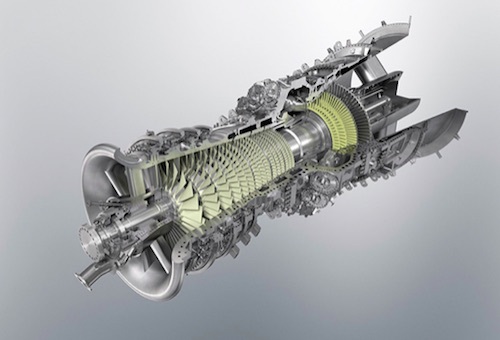 According to a market survey report, the JAC now holds the top global market share for gas turbine orders in 2018(1). MHPS will continue to lead the industry with technically sophisticated, environmentally-friendly GTCC power generating systems." The U.S.-based McCoy Power Report, provides in-depth market survey data on the global power generation business. McCoy reported that thus far in 2018 the JAC had more megawatts of orders than any other product, and that MHPS had more megawatts of orders in 2018 than all other vendors combined.